← The Blues Can Make You…….Happy! Fantastic shots, Cindy. Well captured. you are a photographer of the Gods. That’s all there is to it. Blessed with talent and travel and infinite one of a kind timing. 🙂 Your room with a view is spectacular–hence the spectators. Brav-A!! Aww! You are very kind and your comments are so appreciated!!! Hugs to you my friend! wow! These are great pix! Thank you for sharing! How lucky you are to have all this right in your own backyard! Yes ospreys are magnificent birds and quite similar! Amazing photography of one of the most regal birds. We have some in the mountains here and I could watch for hours. Oh Cindy you take us to some of the most fascinating places, thank you for taking the time to grapple with the satellite to share them with us. *&^%$#@ satellite!!!! But you so happy you enjoyed Pauline! You rock ma deah!! Merci beaucoup! It is just exactly that, a thrill!! Astounding photography!! 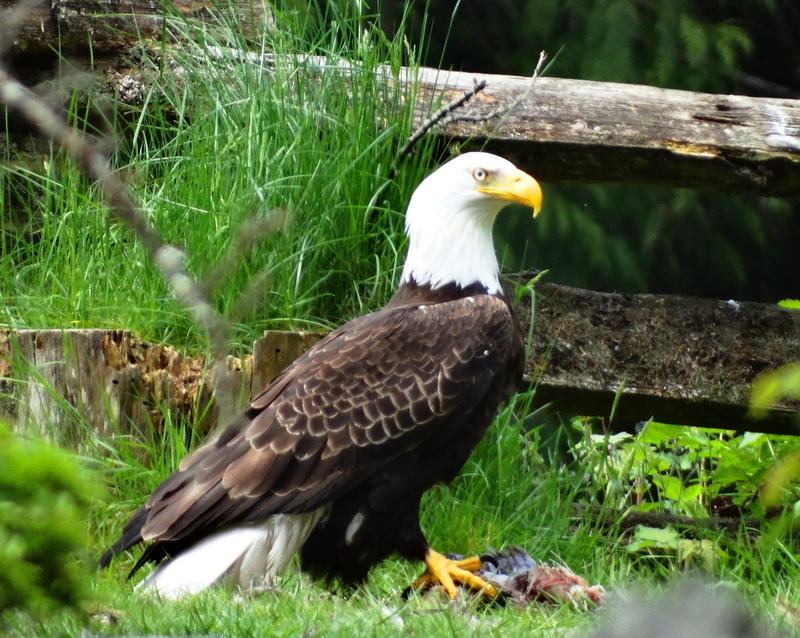 The shot of the two eagles together is phenomenal…what a great post. Thanks. Aren’t they incredible! Such a joy to see them up close! Thanks, I will never forget it. wow, this was just amazing showing a melody. 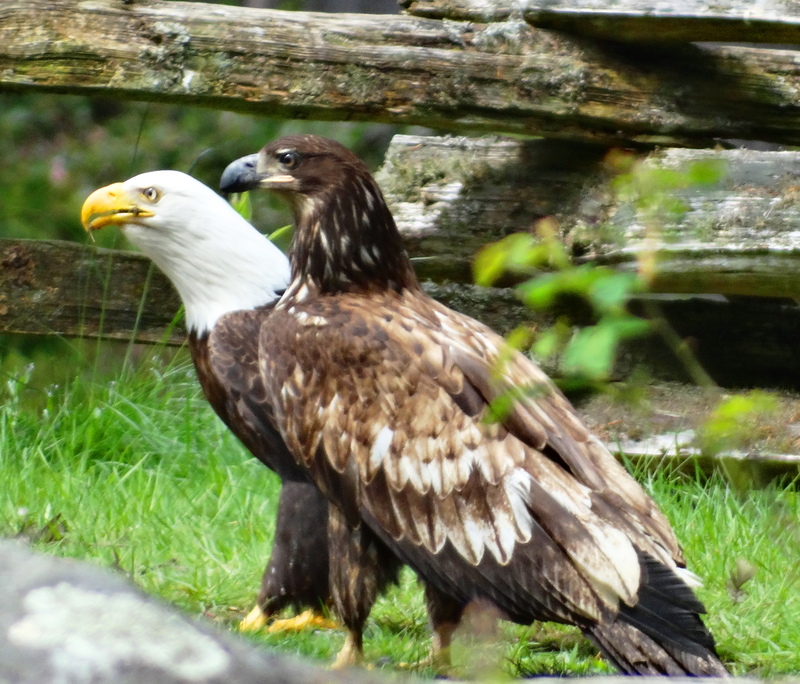 Don’t mess with Mr. and Mrs. Bald Eagle! Cindy…all your publications are simply beautiful. As my friend, are yours!!! 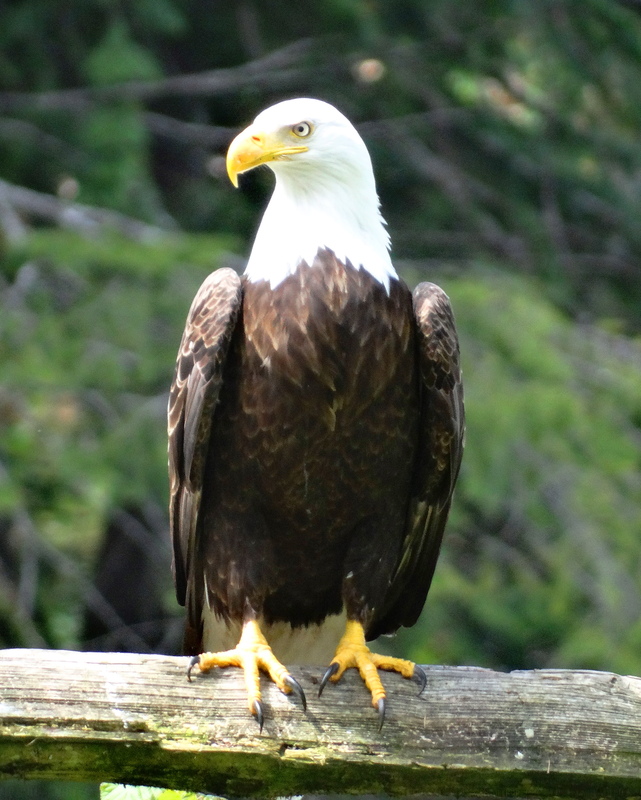 I have never, EVER saw our national bird in nature. I saw one poor thing in captivity but I yearn to see one in the wild. You are soooo fortunate. I think my friend you might go to the Sunshine Coast. If you go in the shoulder season the already low Canadian prices are even lower. Much better deals than in the US AND there are no tourists and very few people. You get around by rental car and ferry. It truly is remarkable. We are already planning returns to Canada in 2015 this time to Waterton NP in combo with Yellowstone, and if I can figure out the timing, back to the Knight Inlet to see the orcas and grizzlies! My Hubby and I love the gorgeous Eagles. You captured breath taking photos. 🙂 Renee Thanks so much for sharing all this beauty of Canada. 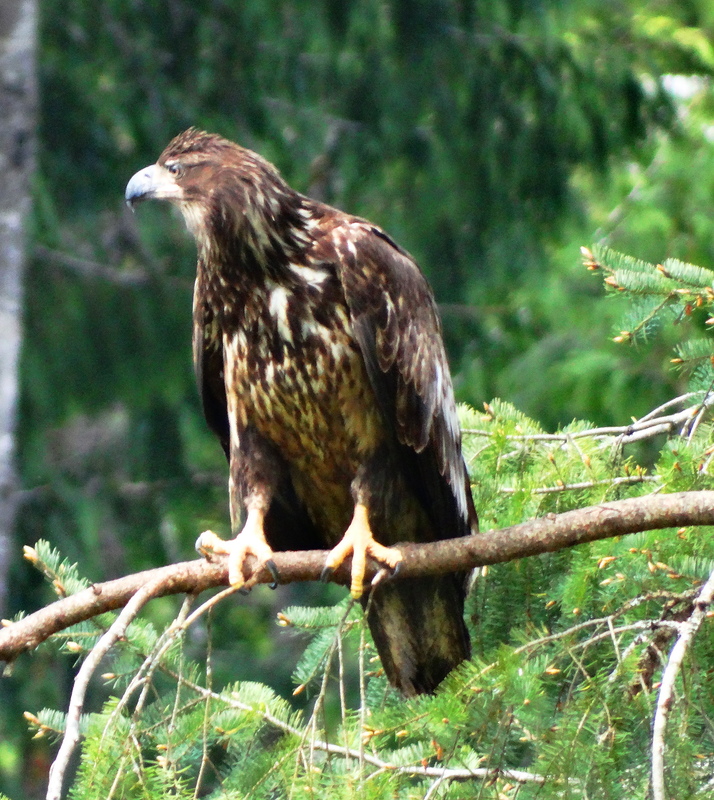 Aren’t the eagles just magnificent birds! Such a thrill to get near them! Wonderfully photographed, truly; such beautiful birds. There’s nothing like seeing them wild in their natural habitat. A big thrill for me definitely!!! Such an awesome bird! Great photos! Great shots! What thrills! I have seen them in the wild, not so close and it is exhilirating. 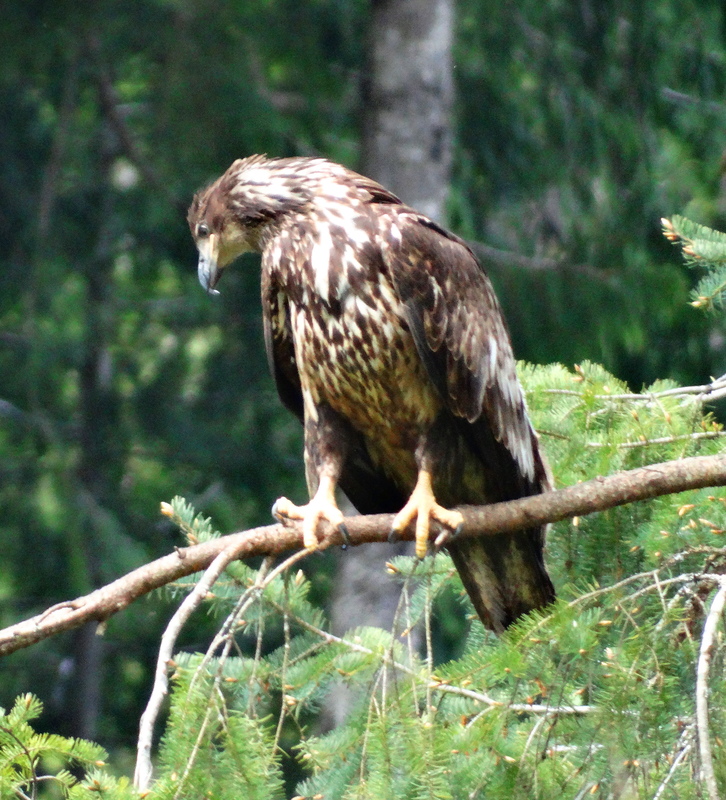 Your eagle photos are stunners, and I love how scruffy the juvenile looks! 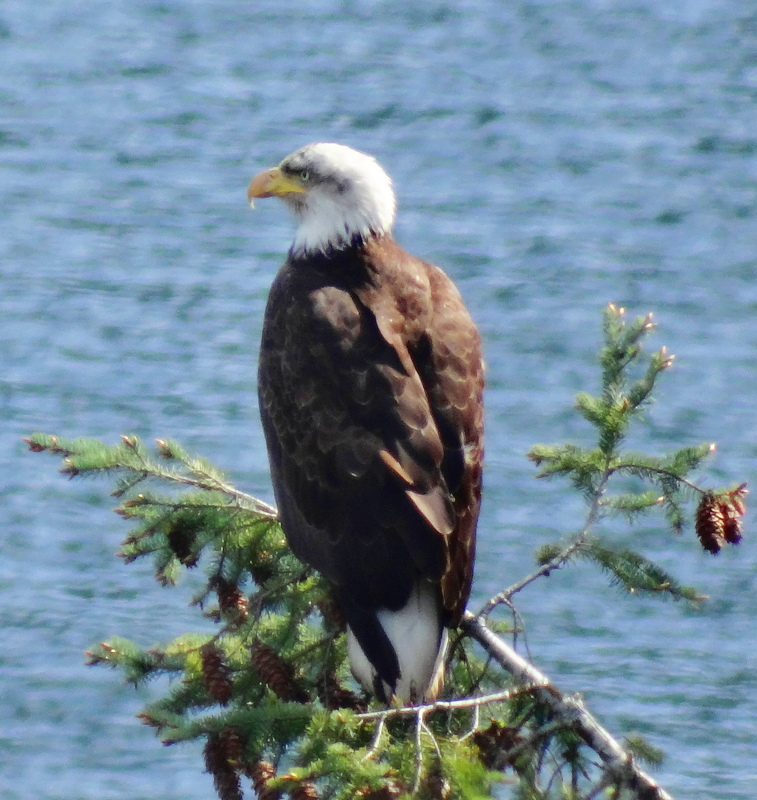 I have to tell you seeing bald eagles this closely with a juvenile was a thrill of a lifetime, so I am happy you enjoyed it too! 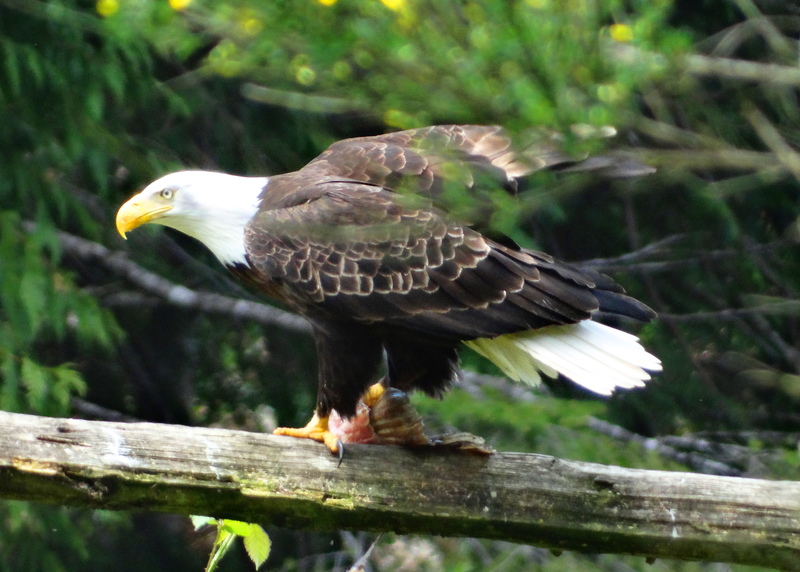 You’ve had quite a few avian thrills of a lifetime! Your falconer posts, with the red tailed hawks, were thrilling from afar. The raptors are a source of endless fascination for me. Your photos knock my socks off!! These are fantastic.Thanks for sharing. I was pretty thrilled to come upon them, so thank you! Thank you for supporting the eagles & cheers to you!